You may think of hail as simply bouncing off your roof and rolling down into the gutters. You may also think that, unless the hail is the size of a softball and puts a hole in your roof, there may be no damage at all. Unfortunately, most hail damage is subtle at first but shows excess damage over time. If you were around during the hail storm and have an idea of the size that fell, it will give you a basis for what kind of roof hail damage to expect. Less Than 1 Inch: Hail smaller than an inch, or about the size of a quarter, may inflict damage to asphalt roofing. Most often though a hail damaged roof at this size can be more difficult to identify. That is why we suggest calling to have your roof inspected by a professional who has experience in identifying hail damage. 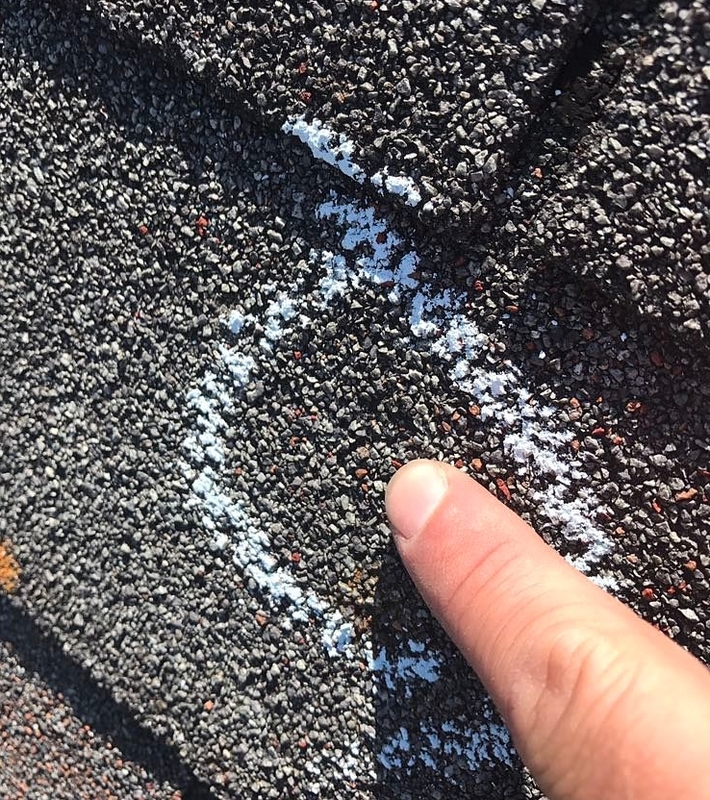 1 Inch – 2 Inch: Hail size between 1 and 2 inches, or between quarter and egg size, usually damage will be more easily found on the asphalt shingles themselves as well as any soft metal on the roof. Greater Than 2 Inches: Hail greater than 2 inches will almost guarantee some level of hail damage to an asphalt roof. If this is the case, contact us for a full assessment of damages and notify your insurance company. 1. It breaks or cracks the shingle and exposes it to additional damage. 2. It damages the asphalt. 3. It loosens the granules that top the shingle for protection. With the granules gone and the asphalt damaged, the shingles are vulnerable to additional damage from the sun’s ultraviolet (UV) rays. The damage might not be obvious after the storm, but your roof will eventually need replacement. 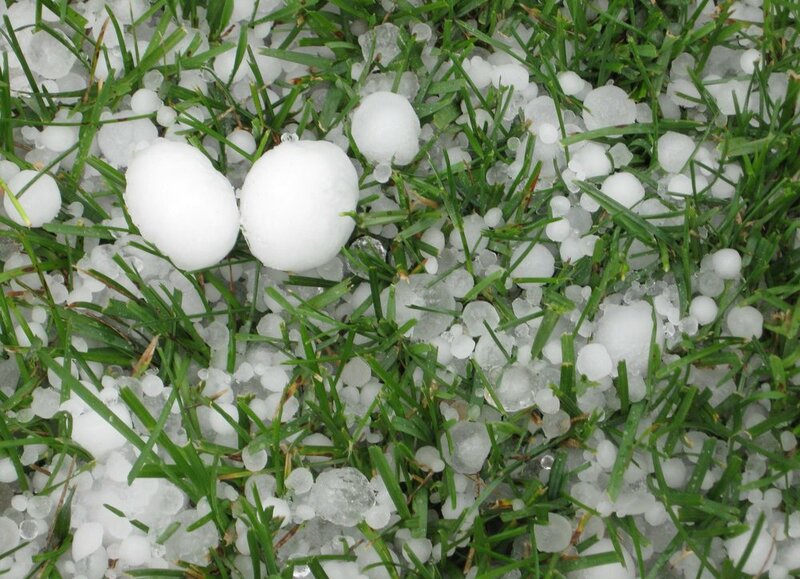 The larger hailstones will do more damage, especially in violent and long-lasting storms. Large high-impact hail can fracture the shingles and dent the protective metal flashing. The damage may not be visible from the ground, but once those shingles are cracked, water can seep through. What you need is an inspection of the damages and Greenawalt Roofing can help. Unsure if your home sustained damage from a hail storm? Let us help! Schedule your free hail inspection with one of our Hail Damage experts.